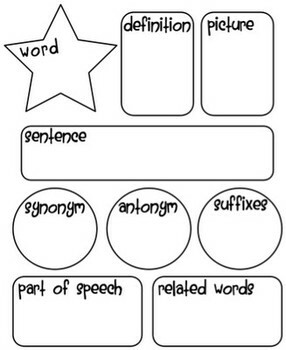 Vocabulary Word Template Synonym Antonym Sentence All on One Page! This worksheet will help your students increase their vocabulary by leaps and bounds. It has everything you need on one page and it's helped my students spelling score increase by 80%.